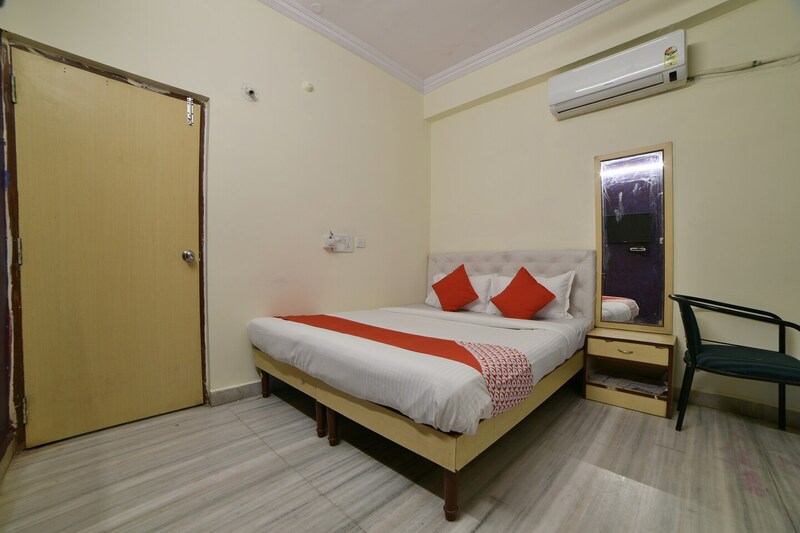 Hotel R Inn Residency is an affordable and furnished property located in Sri Sai Ram Manor, Sri Nagar Colony, Pragathi Nagar, Yousufguda, Hyderabad. The famous Kasu Brahmanandha National Reddy National Park.The rooms are neatly furnished and are spacious. Decor of the room is simple and decent. The shades of the wall are light and hence gives a soothing effect to the room.The rooms are equipped with free Wi-Fi, AC, TV, and geyser. The hotel also has a seating area, elevator and CCTV Cameras for the surveillance of the property.Anupama Restaurant, Josh Chicken And Fish Snacks, Spicy Restaurant, Purna Tiffins, and Istah - Sizzling Shawarmas are the popular eateries in the close proximity of the hotel.